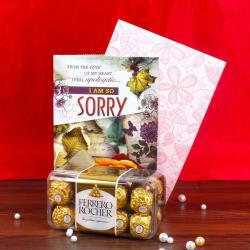 Product Consist : Birthday Greeting Card along with 16 pcs of Ferrero Rocher Chocolate. 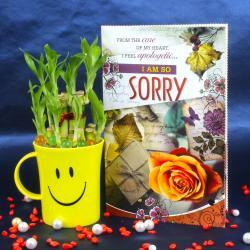 Send to cherish moments by presenting this Birthday Wishes card for your special one on her or his birthday. A lovely way to wish your best friend the happiest birthday ever, this card will make for a wonderful way of making yours relation extra special. Words are not only enough to express as how you want your dear ones to feel more happier so celebrate another year of your bestie with some chocolaty sweetness. We have clubbed this combo with Chocolates. The Best chocolate is like Ferrero Rocher. Its has a different flavor in single piece. Sinful indulgence for every taste bud, chocolates make it special on any celebration and specially for a Birthday. Old bonds get strengthened when new relationships get formed. 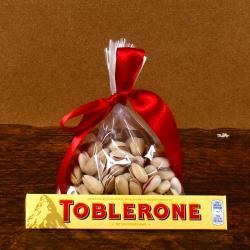 Let bring happiness to the special person that has filled our world with joy by sending this Ferrero Rocher Chocolate. Give you the reason to celebrate and the luscious bites on it expand your celebrations more with happiness. 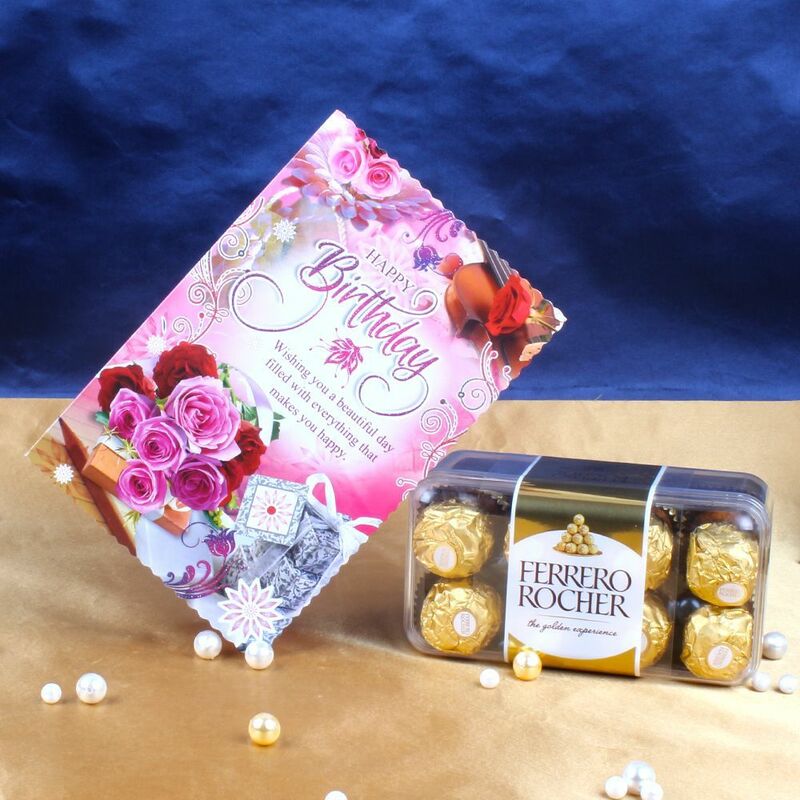 Product Consist : Birthday Greeting Card along with 16 pcs of Ferrero Rocher Chocolate.